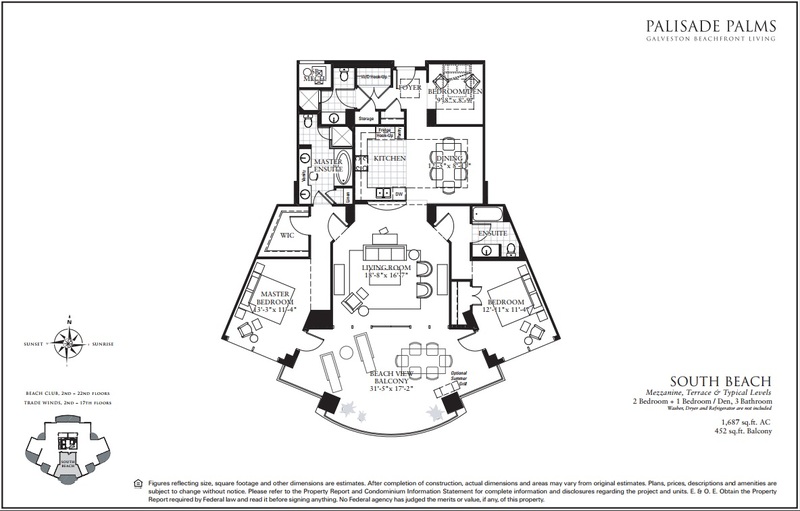 This 17th floor beauty has three bedrooms and three baths! Great layout for two families, two couples, or a multi-generational family. Huge balcony with endless ocean views, great relaxing furniture to soak it all in. The stainless grill is ready for cookouts. Beautiful hardwood floors throughout. Spacious living room is comfortably furnished with a sofa and three arm chairs that look out onto the balcony through floor-to-ceiling windows. The kitchen is fully equipped with stainless appliances so can cook like you do at home. A breakfast bar seats three for the quick meals before heading out to the beach or pool. A private dining room with a formal table seats six and is decorated with a coastal flair. Black-out shades in the master and second bedroom make for extraordinary sleep. The master has a king bed, access to large balcony, and en suite closet and bath with large tub and separate walk-in shower. The second bedroom also has a king bed, access to the balcony, and en suite closet and bath with a tub/shower combo. The den area can be used as a third bedroom as it has a twin daybed and trundle. The third full bath has a walk-in shower. The unit features in-unit WiFi and basic cable channels. Who would not want to stay in luxury by the beach? When the beach condo we had been renting for 4+ years (since my son was 3) suddenly sold (never went on the market) and was removed from the rental pool just 2 months out from our planned stay, we were devastated. No other condo at that property was comparable. I had never visited Palisade Palms but was impressed by the website. 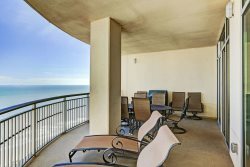 I reached out to Cathy with TCR and she was amazing in helping select the condo and working with the owner to set up the same vacation dates we had enjoyed with our prior condo. She was very responsive and forthright in what she could or couldn't do. No high pressure and truly set my mind at ease when "shopping" for the right condo by phone. The condo was exactly as described and the facilities were amazing. I also met Sommer while at Palisades who is always upbeat and friendly. There was always someone in the office when we walked by but we rarely had to bother them because everything was put together so well. Thanks to TCR, we now have a new vacation home! Extremely wonderful time. The unit very nice. Highly recommend. 1706 BC has wood floor, two masters, gorgeous views. New appliances. Beds comfortable and furniture has very nice set up. T.V. in every room. Will be back!!!! Our stay was very pleasant in a luxury resort setting.